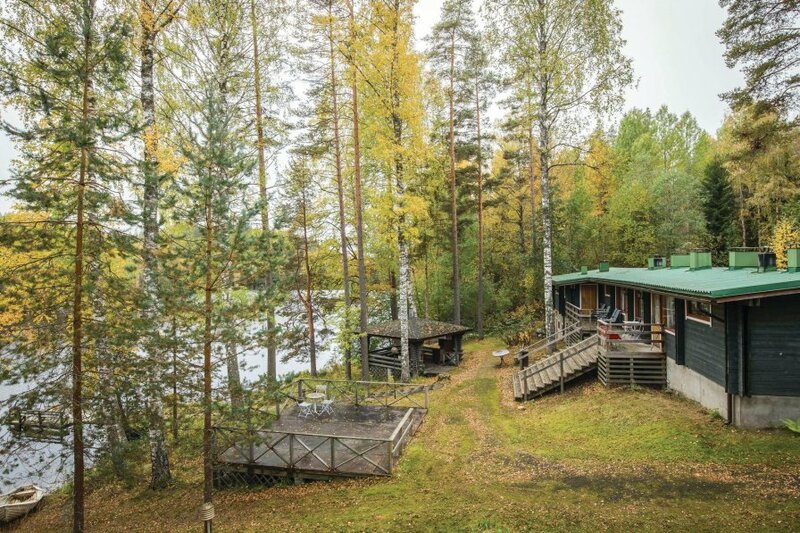 This apartment, located in a row house, is a pleasant base to explore the attractions of the Saimaa region. It has two rooms with two single beds. In one room is also a kitchenette. This apartment, located in a row house, is a pleasant base to explore the attractions of the Saimaa region. It has two rooms with two single beds. In one room is also a kitchenette. Toilet and shower are in the apartment. The sauna at the beach is commonly available (please inform yourself at the house owner regarding a sauna plan). Also the barbecue is shared with the other guests. There are also a variety of toys that you can use outdoors, playing games is a lot of space available. Canoes and rowing boats are also freely available. Bed linen and cleaning are included in the rent.